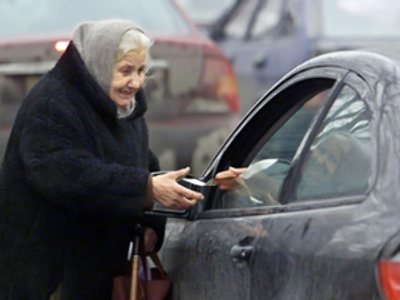 Russians have lived through some massive social and economic changes in the past 20 years. Russia’s Minister of Health Care and Social Development Tatiana Golikova tells RT what that legacy now means for the country. RT: What has been the most difficult thing about your government work over the last ten years? Tatiana Golikova: Objectively the most difficult period, or, more precisely, two periods, were in 1998. We were in a crisis. But now we have certain reserves, a certain understanding, and a certain development level, back then we had nothing. There were really difficult situations, where we had to choose what to fund – whether it should be pay or some other expenses – but money was in short supply for either. It was a very difficult period that simultaneously coincided with a time when the financial system in Russia was coming into being. RT: How do people react to the crisis today? TG: I’d say they’re worried as they remember 1998 pretty well. And they are acting now according to their short memory of ten years ago. However unlike the world financial crisis of 2008, the 1998 crisis wasn't preceded by a decade of successful development. It is obvious that we’re at a totally different level of economical development now. RT: What is currently the biggest social problem in Russia? TG: I think its unemployment. RT: What are you doing to fight unemployment? TG: You can’t fight unemployment: it is a fact and can't be avoided. There is a whole complex of anti-crisis undertakings that is being implemented by the Government of the Russian Federation with a view to supporting some or other branches of the economy. If we speak about employment, all states, in periods like this one, would accept programs that are due to react to labor market situations. We are no exception in this sense; we have undertakings of our own that we implement within the framework of the governmental regulatory instruments which generally are aimed at maintaining employment. Rather than for the unemployed, these are catering for people who are facing the risk of being dismissed or, say, working shorter hours, or are out of work through the fault of management, because their enterprise operates under capacity, etc. For these people, we are currently creating temporary jobs, we put them on three-to-six-month retraining programs, and we give them the chance, with minimal governmental help, to pull through this difficult period. RT: You’re the Minister of Health Care and Social Development. Obviously, in spite of the financial crisis, money talks as far as the area of health care is concerned. However, I believe that social development is very hard work, especially in Russia. If we look at the peculiarities of the Russian mentality: I’d say that Russians are fatalists: we accept our life the way it is. I think that this Russian mentality comes in the way of tackling numerous social problems. What do you think? TG: I wouldn’t really say that we are all that messed up. Actually, things are quite the opposite. In my opinion, unlike other nations, our people always rejoice and accept even the smallest changes. I keep repeating that all the positive tendencies during recent years have actually resulted in the fact that people started trusting our authorities. I do realize that we have our difficulties and problems. The early nineties, when Russia was going through a period of development and formation, have left their legacy as well. At that time, we were going through a fresh start. We were passing new laws and taking new measures of social care. At times we had to break and overcome the Soviet mentality which had settled in the minds of our people. Some people have preserved this, even to today. And the abovementioned fatalism of thinking and accepting the reality is rather an attribute of that generation. Some of those people have already given up their old ideas but others haven’t. But I have to tell you that the younger generation is not likely to have this fatalism. They are more emotional and they believe in the bright future to come. RT: Recently some settlements have disappeared from the map of Russia. The demographic situation was rather bad. How about now? TG: You know, during the last two years we’ve seen a major change in the trend that prevailed over the past decades, when the birth rate was steadily going down. 1,717,000 children have been born, and this is significant figure for us, actually the biggest one over the last 16 years. RT: Yes, I’ve seen this figure on your website, it’s quite impressive. But still the mortality rate exceeds birth rate. What can be done to prolong life expectancy? TG: There is a trend in the reduction of the mortality rate as well. So far it exceeds the birth rate by 1.2, but nevertheless there is a declining trend. Unfortunately in recent years, we, people, have stopped fighting for our lives, if I can put it this way. We do not care about our health. Unfortunately people in Russia smoke and drink a lot, they do not eat healthy food. In this respect we would like, and I, as the Minister of Health Care and Social Development, personally would like to work more effectively. We should teach people to take a healthy lifestyle seriously. Probably you’ve heard that in 2009, we are launching a national project connected with a healthy lifestyle. It is a challenge; this project is more about communication than about treatment. It is about forming a lifestyle. RT: In each language the word ‘insurance’ suggests confidence, but the Russian word «Ã‘ÂÃ‘â€šÃ‘â‚¬ÃÂ°Ã‘â€¦ÃÂ¾ÃÂ²ÃÂ°ÃÂ½ÃÂ¸ÃÂµ» (strakhovanie) implies fear. Is there any reason to approach medical insurance with fear? TG: Not at all. I wouldn’t say that we associate it with the word ‘fear’, because they have the same root. Like all other countries (not all, of course, but the majority) we are adherents of the insurance model, of the development of medicine and truly speaking, it’s what we are currently working on. To my regret, the legislation that was passed in Russia in the early nineties in the sphere of medical insurance has failed to be implemented as planned. Currently we are working on how to modify this legislation so as to let insurance principles become predominant in Russian medicine. RT: In the US there were speculations about the crisis of medical insurance two years ago. What is the situation like in Russia now? TG: There isn't a crisis in medical insurance in Russia, partly because the classical insurance model simply does not exist here. We have a budget-insurance model. All organizations get money both from the state budget and from Compulsory Medical Insurance Funds and through voluntary health insurance. There is indeed a lack of funds in the system of healthcare, but calling it a crisis or a deficit is not quite correct. RT: What will happen to the government social programs if the funding fails? TG: Nothing will happen to them. We’ll continue the funding as we did before. These are the priorities defined by the state. In a crisis, the funding and support of both health and education are of particular importance. I think this doesn’t need to be explained, because even persons’ psychological state in difficult periods calls for more attention from the health services. I believe you heard that both the national leadership and we repeatedly stated that the main health and education priorities that we maintain would be preserved. RT: Considering your financial background, does it help in the social sphere? TG: I, naturally enough, have a good idea of how it all works not only in the health and social development sphere but also in any other sphere that is funded from the budget. I know the arguments that have to be given in order to obtain not just money but additional money for my sphere. RT: It is rumored that you know the budget by heart. Is this true? TG: I don’t know what to say. Well, I know my bearings rather well. RT: I wanted to ask you, was your appointment as the head of the health and social development minister somehow expected? TG: No, it was unexpected. RT: Did you accept willingly, right away? RT: Not so long ago, it was claimed that a black-skinned person could never become US President. Nevertheless, he became one. They say a woman can never head Russia. Do you think Russia can have a woman president? RT: No? You must have said the same about a woman being Minister of Health and Social Development. Thank you very much indeed for your time.